A few weeks ago, Anna of Kiwi Girl Attempting Italian very kindly nominated me for a Liebster Award. I’d never heard of it previously but basically its paying it forward in the blogging community, by highlighting other blogs that you like to your readers. Thank you Anna for liking my blog! 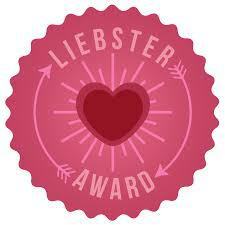 The Liebster Award is an award that has been passed on through the blogging community for many years. Liebster is a German word that can mean kindest, dearest, or beloved. The Liebster Award is a blog award nomination presented to novice bloggers in an effort to spread blog love and increase blog exposure. Liebster Award Rules: What you as a nominee need to do. 1.Thank the person who nominated you and provide a link to his or her blog. 2.Answer the 10 questions by the nominee before you. 3.Nominate 10 of your favourite blogs with fewer than 200 readers, and notify them of their nomination. 4.Come up with 10 questions for your nominees to answer. 1. What inspired you to create your blog? Its something I have consider for some time and I have recently started using Twitter so blogging was the next step. I also wanted a place to publish my Grandfather’s war diary. 2. What do you see yourself doing in 5 years? Much the same career wise and hopefully a lot more travelling. 3. What is your most memorable travel experience? Too many to mention. All places are unique – some good, some bad but they are all experiences I wouldn’t give up for anything. 4. What is your favourite country? To live in, New Zealand, I couldn’t imagine living anywhere else but if I had to pick one place, I’d say Australia. To travel, I’d say the United States, its so vast and diverse. 5. What tops your Bucket List? Hong Kong Disneyland, after visiting Tokyo Disneyland last year, I have been dying to get to Hong Kong. 6. What’s your favourite way of travelling? I have become increasingly “soft” as I’ve got older. Now the bare essentials are hot water for a shower at the end of the day, and air-conditioning in a hot climate. I don’t need 5 star though. I’m a 3 star kinda girl for the most part, but I do love to cruise. 7. Where is your next travel destination and why? 8. What is your favourite pastime? Reading, though I tend to waste a lot of time on the internet. 9. What is great about the city you currently live in? Right now, Christchurch is in a unique position of being rebuilt from the ground up for the most part. Its interesting to be here as its happening, and still a great place to live, despite the earthquakes. 10. What’s one random fact about yourself? If you couldn’t live in the country you currently live in, where would you choose? Which country tops your bucket list to visit andy why?